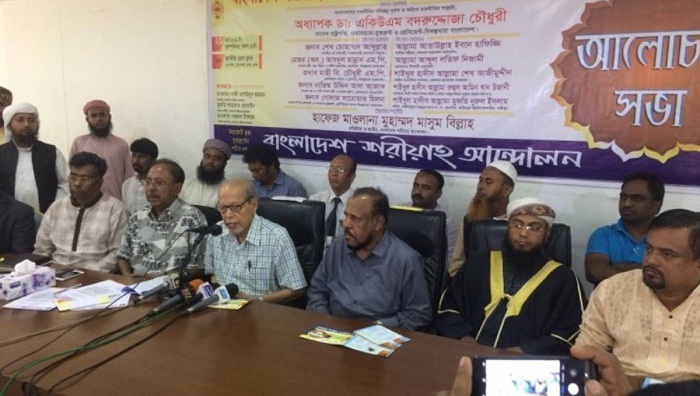 Voicing frustration over the poor presence of voters in many places during the upazila polls, Juktafront Chairman Dr AQM Badruddoza Chowdhury on Thursday warned that the voters’ apathy may put democracy in a grave danger. “The government must think why the upazila elections are not participatory ones. The presence of voters is also very thin in many places. The government will have to find out the reasons behind it,” he said. Bangladesh Sharia Andolan, one of the components of Juktafront, organised the programme at the Jatiya Press Club, marking the Independence Day and the organisation’s second founding anniversary.